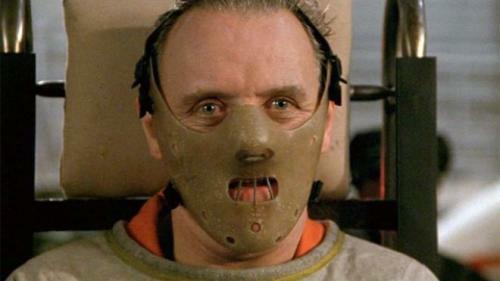 Home » News » Can Psychopaths Be Cured? TO THE BEST of our knowledge, there is no cure for psychopathy. No pill can instill empathy, no vaccine can prevent murder in cold blood, and no amount of talk therapy can change an uncaring mind. For all intents and purposes, psychopaths are lost to the normal social world. But that hasn’t stopped the scientists who study psychopaths from trying to bring them back. In 2012, Dr. Kent Kiehl, a psychologist at the University of Mexico and one of the foremost experts on psychopathy, discovered that psychopaths have reduced gray matter in the paralimbic system of the brain. His longtime suspicions were confirmed: Psychopaths – who are unremorseful and antisocial – have fundamentally different brains than the rest of us. The finding was replicated in psychopathic youth the following year. While the link between brain structure and psychopathy is correlational, the youth data strongly suggested that the stunted paralimbic system is present from birth. Kiehl was proud of the discovery and the hard work that realized it, but saddened by the accompanying implications. “It was if my lab had discovered a new disorder, but we didn’t have a cure,” Kiehl lamented in his new book, The Psychopath Whisperer. Hope remained, however. Roughly 1,300 miles away from Kiehl’s lab in Albuquerque, New Mexico, mental health professionals in Madison, Wisconsin were taking big steps to treat young psychopaths with a progressive new approach to criminal rehabilitation. DEVELOPED AND IMPLEMENTED by staff at the Mendota Juvenile Treatment Center (MJTC), the Decompression Model operates without the strict deterrence and punishment commonplace at a normal juvenile facility. For psychopaths, who give little thought to punishment and rarely, if ever, learn from it, the status quo devolves into a vicious cycle of discipline and defiance. Punishment doesn’t discourage their criminality; it cements it. Indeed, psychopaths are six times more likely than other criminals to commit new crimes following release from prison. The Decompression Model at MJTC was originally enacted on the most troubled youth criminals in Wisconsin. They also averaged in the severe range on the Youth Psychopathy Checklist, the gold standard for predicting whether a youth will be diagnosed a full-fledged psychopath as an adult. The hallmark of the Decompression Model is positive reinforcement. The institutionalized youth are monitored continuously by all staff members for any sign of positive behavior, however small. When spotted, the behavior is reinforced with some sort of reward. The youth are also told that their rewards can scale, meaning the longer they persist with good behavior, the greater the prizes become. What starts out as a pat on the shoulder graduates to a candy bar, which graduates to the right to play video games, and so on and so forth. The youth were being introduced to the simple benefits of social society. The staff drew on neuroscience to decide on the rewards. “Brain scan studies have shown that both candy bars and video games are intrinsically rewarding–that is, the reward learning centers of the brain are engaged by both food and video games,” Kiehl explained. SO, HAS THE Decompression Model worked? In various studies, over 300 subjects who were treated at MJTC were matched with similar subjects not treated at MJTC. Researchers followed both groups over a five-year period, even after they were released. 98% of the non-MJTC youth were arrested again within four years, while only 64% of MJTC youth were. “In other words, the MJTC program had resulted in a 34 percent reduction in recidivism,” Kiehl wrote. Moreover, MJTC youth were 50% less likely to commit a violent crime, and, while non-MJTC youth killed 16 people after their release, MJTC youth didn’t commit a single homicide! Furthermore, detailed economic analysis revealed that for every $10,000 spent at MJTC, the state of Wisconsin saved $70,000 by reducing the future costs of incarceration. That value didn’t even include the savings to society. After all, crime exacts a tremendous monetary and an emotional toll. What could explain the striking behavioral changes? Could the Decompression Model actually be stimulating the development of new grey matter in the paralimbic system of the brain? Kiehl thinks it may very well be. In 2012, his laboratory deployed a mobile brain scanner to the grounds of MJTC to see whether or not inmates’ brains are actually affected by the treatment. Kiehl has high hopes for the MJTC program. If we can identify and treat pyschopaths early on, thousands of lives might just be saved.